The industry leader in museum-quality gallery wraps! 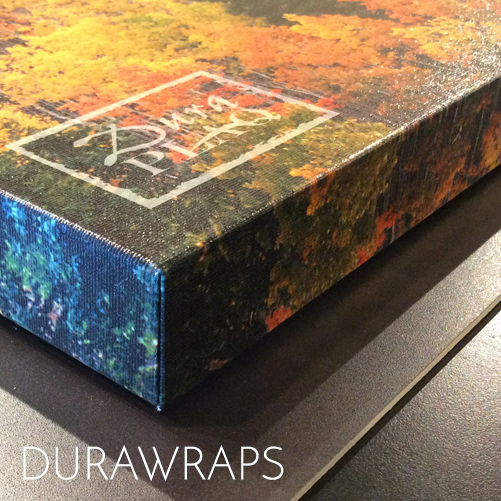 A DuraPlaq® canvas paper print (or a customer-supplied canvas print) is mounted to an acid-free, rigid and lightweight substrate, finished with a hollow backing, standard aluminum French Cleat and optional wire hanger. 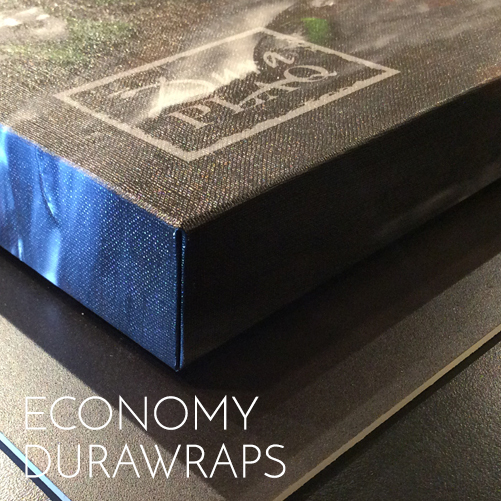 The Economy DuraWrap combines the look of a traditional canvas gallery wrap, the durability of the DuraPlaq® product line, and DuraPlaq®’s premier direct printing process, eliminating common stretched-canvas disadvantages! Fill a frame with this durable, glass free framing option! 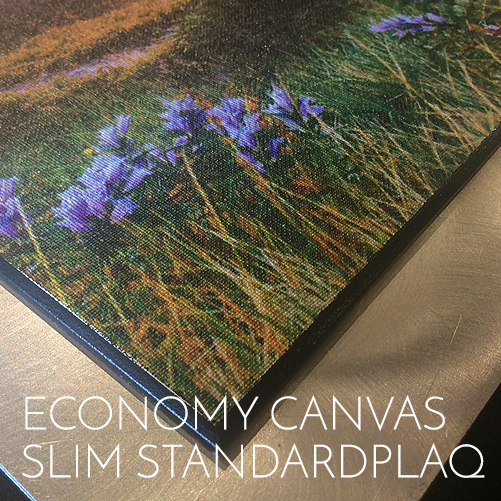 The Economy Canvas Slim StandardPlaq is direct-printed and UV-cured, complimenting popular framing applications and bottom stack products.